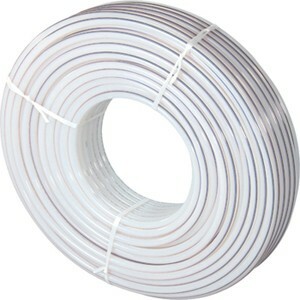 Comfort pipe plus (PEX) 20 x 2mm underfloor heating pipe. Five layers cross-linked polyethene barrier pipe, manufactured in accordance with DIN 16892 and DIN 4726. The maximum operating pressure of 6 bar at 70o C.